Over the past few months, I’ve gotten really into Dungeons & Dragons, a role-playing and story-telling game that relies on improvisation and dice. A game of D&D is led by a Dungeon Master who provides a fantasy world for the players to interact with, and together, they build a story. I discovered D&D through Critical Role, which is a weekly livestream showing a group of people playing the game. It’s quite unlike any other media content I consume, as it doesn’t have a team of writers and is largely improvised. Moreover, it started as a private home game, so it wasn’t even initially created with an audience in mind (although the players did make the decision to continue their game instead of starting a new one for the broadcast). However, since it started streaming two years ago, it has become quite a phenomenon, inspiring people to play D&D and to create. I wrote about the show several weeks ago while I was still frantically trying to catch up and as such didn’t really stop to think much about anything. I was very excited, for instance, about the mere fact that the show includes LGBTQ+ representation. Since then, I’ve finished catching up and had time to reflect on and look at this representation a little more critically. While Critical Role does have characters of differing gender identities and sexualities who are portrayed with care and respect, some of the actions of the players show a lack of consideration towards the LGBTQ+ characters and the people they represent. Given the game’s mechanics and improvised nature, it’s difficult to decide what kind of standards to use when talking about its portrayal of LGBTQ+ characters. On one hand, the characters belong to the players, who should be allowed to make the choices they want, as this is their game. But on the other hand, the game is also public media content and as such, issues concerning representation arise. The creators should be aware of the impact of public out-of-character comments and the choices their characters make. Just because the player should be allowed to make whatever character choices they like, doesn’t mean, for instance, that it’s right to be disrespectful towards the LGBTQ+ community. One of the main problems Critical Role has in this regard is the apparent lack of effort from most of the players to use someone’s correct pronouns. When androgynous character J’mon Sa Ord was introduced, Matthew Mercer (the Dungeon Master) deliberately used they/them pronouns when talking about them. He would slip up sometimes, but corrected himself most of the time. However, most of the players kept using he/him when referring to J’mon, and nobody corrected them. I understand that one wants to keep the game moving, but if you create a character who is specifically using they/them pronouns on a broadcast game and most of the players fail to use the pronouns, it just sends the message that they don’t care enough to show the bare minimum of respect towards nonbinary people. Additionally, the players kept purposefully using the wrong pronouns to annoy a villain—a female dragon named Raishan whose human form was female and who used she/her pronouns, although she would take male forms sometimes to disguise herself. Even though Raishan wasn’t identified as transgender/nonbinary, the fact that she sometimes presented as a different gender is a relatable experience to a lot of people in the trans and nonbinary community, and we watched this experience being treated as a joke by the so-called heroic characters. Another troublesome issue is the throwaway comments regarding the characters’ possible non-straight sexuality. The tone and delivery of these comments makes it seem like the players also treat them as a joke. For instance, Scanlan, who is quite a womanizer, has made joking comments about also having kissed men, while everyone laughs. At instances like this it’s very difficult to separate the players from the characters—are they laughing in or out of character?—which makes it hard to judge the situation. It’s one thing when a queer person makes a joke about being queer, but it’s not the same coming from a straight person: it’s often insensitive at best and offensive at worst. It would help if at least some people of the Critical Role cast were LGBTQ+ themselves, but as far as we know they’re all straight. What complicates the issue further is that these comments of questionable seriousness are sometimes backed up by the actors (such as Laura Bailey, Marisha Ray, and Sam Riegel) posting on Twitter saying that their characters are, indeed, not straight, although it’s once again difficult to say in some cases whether they’re being serious or not. It also feels reminiscent of the way some authors talk about including LGBTQ+ characters in their works without actually showing them to be queer within canon (for example, the gay Dumbledore reveal by J.K. Rowling). Given that Vox Machina’s story is still underway, I’m willing to give the actors the benefit of the doubt and hope that we’ll see their characters explore their sexuality in a more serious manner in the future. The only player character who has been shown to be LGBTQ+ (bisexual to be precise) in more than a throwaway comment is Vax. He and the NPC Shaun Gilmore developed a flirtatious and intimate friendship before Critical Role began airing. 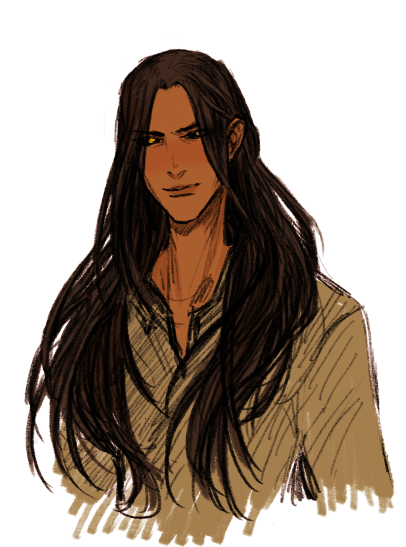 This relationship teetered on the brink of becoming romantic for a while and it was made clear by his actions that Gilmore is quite in love with Vax. On his part, Vax also cares about Gilmore, but in the end he confessed that he is, in fact, in love with his party member Keyleth, putting a stop to the possibility of a romantic relationship with Gilmore. Despite the fact that their romantic relationship never became official and left my beloved Gilmore broken-hearted, I quite enjoyed this storyline. It’s different from most stories wherein a character suddenly develops feelings/attraction towards a person of the same gender. There’s very little angst and both men are quite aware of what’s happening between them both from each other’s actions and actual conversations. Vax and Gilmore have several frank and honest conversations about their feelings and even though they were never in an official relationship, they don’t act as though it makes their respective feelings any less serious. Gilmore is one of the three most prominent, powerful, and beloved non-player characters who are undeniably queer. The other two are Allura Vysoren and Lady Kima of Vord, who are in a relationship. Since they’re both NPCs, their relationship doesn’t get that much screen time. However, it’s pretty clear for those looking for it that there is a romantic history and feelings present when Vox Machina bring Kima to Allura after saving Kima from the Underdark. We finally get an on-screen kiss some 70+ episodes in. Up to that point, their relationship can be quite easily interpreted as a close friendship, but given that whenever either or both of them appear there’s usually some sort of crisis going on, it makes sense that there’s no time for public displays of affection. As someone who gets very annoyed whenever characters stop to kiss in the middle of battles and such, I actually liked the portrayal of Kima and Allura’s relationship. Finally, I want to touch on some comments Matthew Mercer has made in regards to LGBTQ+ representation in Critical Role outside of the game. These days, I’m wary when creators talk about representation in their works, especially if that’s something that wasn’t made explicit in canon. However, the nature of a D&D game is such that a lot of preparation and writing may go into it on the part of the Dungeon Master, but if the players don’t take that particular line of questioning, it will never get to see the light of day. Therefore, I’m glad that the creators of Critical Role are very interactive with the fandom and, in fact, have a weekly talk show (Talks Machina) where they answer fan questions and elaborate on issues that arise during the game. About 1h:10min into Episode 4, Mercer spoke about not wanting to make a big deal out of his most powerful NPCs being gay and bisexual, but instead wanting to present it as facets to their characters and normalize these kinds of relationships. He also spoke about understanding why the confirmation of the romantic relationship between Kima and Allura received such a huge positive response. Even though I feel like being a decent ally to the LGBTQ+ community shouldn’t be that difficult a task, there are still too many people who don’t manage that, so it’s nice to hear a cis straight guy who doesn’t shy away from using the word bisexual and who gets why LGBTQ+ representation is important. Analyzing LGBTQ+ representation on streamed Dungeons & Dragons games is complicated. The show does have a clear misgendering problem: the players put no effort into using the correct pronouns for a nonbinary character and use wrong pronouns on purpose to annoy someone. Although they have professed their support for the LGBTQ+ community, it appears that the cast still has an unconscious bias since they seem to think that misgendering someone is trivial and funny. Although the show does include a number of queer characters, both player and non-player, the manner in which some of the players treat the possibility of their characters being queer as a joke comes off as disrespectful towards the LGBTQ+ community. 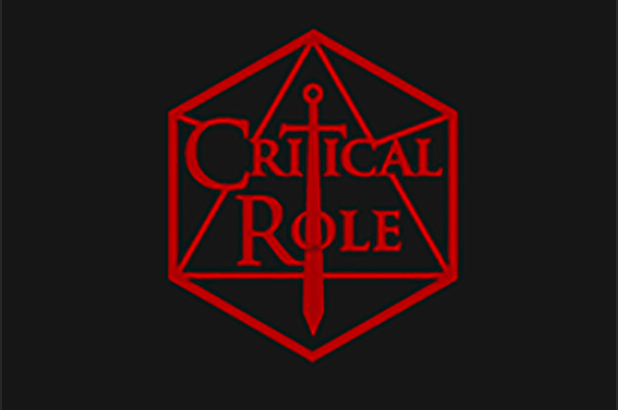 Since it looks like Critical Role will continue for some time, I’m hoping that the cast will improve at their treatment of LGBTQ+ characters, in particular, that they will stop misgendering and show respect to our experiences by committing to explore their characters’ sexualities beyond the jokes. This entry was posted in Internet, LGBTQ+ Issues, Sexualized Saturdays and tagged Allura Vysoren, Critical Role, Dungeons and Dragons, J'mon Sa Ord, Lady Kima of Vord, LGBT Characters, LGBTQ Representiation, matthew mercer, non-binary characters, Shaun Gilmore, talks machina by cloudnoodle. Bookmark the permalink.